. if you wish to purchase any Argyll Bird Reports and check availability. 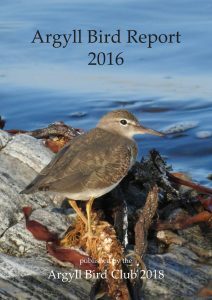 ARGYLL BIRD REPORT Volume 28 – with Systematic List for the year 2016. This volume was published in March 2018. Members should receive a copy by post during March. Non-members can buy copies from the Argyll Bird Club (as can members if they require extra copies) for £12 per copy including packing and postage to a UK address. 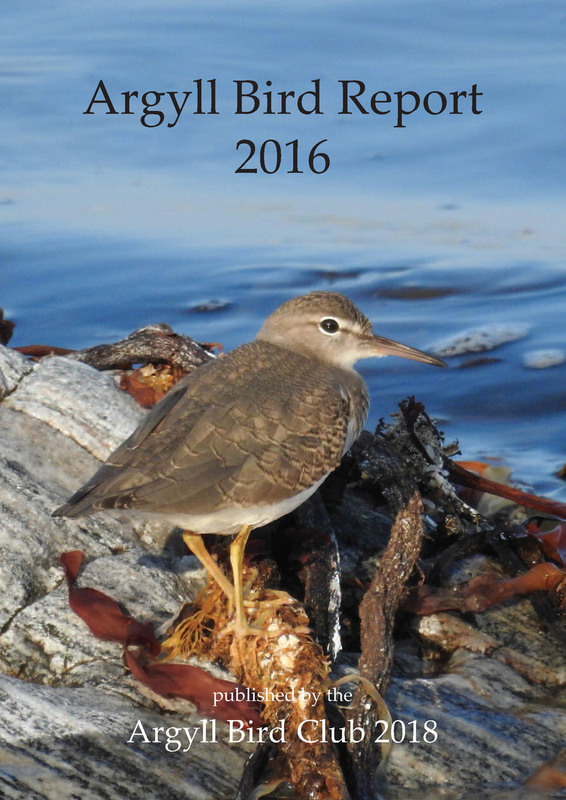 ARGYLL BIRD REPORT Volume 27 – with Systematic List for the year 2015. This volume was published in March 2017. Members should receive a copy by post during March. Non-members can buy copies from the Argyll Bird Club (as can members if they require extra copies) for £12 per copy including packing and postage to a UK address. ARGYLL BIRD REPORT Volume 26 – with Systematic List for the year 2014. This volume was published in March 2016. Non-members can buy copies from the Argyll Bird Club (as can members if they require extra copies) for £11 per copy including packing and postage to a UK address. ARGYLL BIRD REPORT Volume 25 – with Systematic List for the year 2013. This volume was published in March 2015. Non-members can buy copies from the Argyll Bird Club (as can members if they require extra copies) for £10 per copy including packing and postage to a UK address. ARGYLL BIRD REPORT Volume 24 – with Systematic List for the year 2012. This volume was published in March 2014. Non-members can buy copies from the Argyll Bird Club for £10 per copy including packing and postage to a UK address. ARGYLL BIRD REPORTS Volume 21 – with Systematic List for the years 2006 – 2007. Volume 22 – with Systematic List for the years 2008 – 2009 and Volume 23 – with Systematic List for the years 2010 – 2011. These issues of the Argyll Bird Report are available from Copies are available to non members at £10 per copy, including postage and packing.